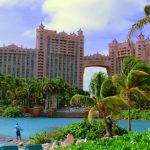 The PokerStars Caribbean Adventure isn’t the only major poker event in the Bahamas. 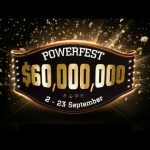 On Nov. 9, the Partypoker Caribbean Poker Party kicks off, and builds to a $10 million guaranteed Main Event on Nov. 18. 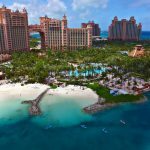 Main Event package winners receive entry into the tournament, $2,000 in cash towards airfare, $1,000 in resort credit, and nine free nights at Baha Mar, the host resort for Partypoker’s entry into land-based Caribbean events. A full series schedule has yet to be released. But more than 2,000 players are expected to make the trip to the Bahamas for some sun, fun, and poker. 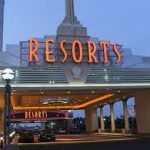 The online poker site will also host additional live tournaments during the series prior to the Main Event, as well as cash games. The Partypoker Caribbean Poker Party is one of the poker site’s many marketing strategies to make a run at PokerStars for most popular poker site in the world. Mike Sexton, the long-time WPT television host, left the World Poker Tour in 2017 to become Chairman of Partypoker, the poker site he helped launch in 2001. Players can buy directly into any satellite level and begin from that point. Partypoker is throwing out all the stops to become an industry leader, doing everything from hosting major live poker events to adding poker superstars such as Kristen Bicknell, Fedor Holz, and Sam Trickett to its list of ambassadors. It comes at a time when PokerStars receiving negative publicity over the past couple of years from its former CEO David Baazov being charged with insider trading, to the site’s removal of its popular long-time rewards programs, Partypoker seems to see an opportunity. Kristen Bicknell, patched up with a Partypoker logo on her shirt, scooped a high roller event at the Asia Pacific Poker Tour in Macau last week for $279,549. The victory was great advertisement for Partypoker. Even better advertisement for the online poker site was Bicknell’s winning the GPI Female Player of the Year at the American Poker Awards last month. Her boyfriend, Alex Foxen (not a Partypoker ambassador), shipped the Super High Roller event during the same series for $963,880. Both players, coincidentally, won the final hand of their respective tournaments with A-6. More than 2,000 players are expected to make the trip to the Bahamas for some sun, fun, and poker. I started and learn to play poker on pokerstars, but I remember I used to play in other plataform. Fulltilt something like this. But here in Brazil we can’t get the partypoker app. Not partypoker but also others we can’t! I think the stakes and the format of the games is very nice, many chances to win. And congrats to Kristen Bicknell and her husband as well! Well done! A great tournament for our region and is one that pretended to play some day, but as Supermoto says the localia was removed from our country, Dominican Republic, to the Bahamas and this already complicates the participation for visa issues and others. As for the promoters that Party Poker is bringing to their room is very good to achieve that extra push that they lack as a room and those names that mention Kristen Bicknell, Fedor Holz and Sam Trickett are not more than influential to attract new and better players and tournaments. Nice torunament, hope be in one day. watched before the poker tournament in the Bahamas in my opinion this is the best place for a pleasant poker game. a good offer to play in the Bahamas from the Rummo poker party poker. But to play there I probably won’t because I don’t believe in their victory.